This is an object of the past and I doubt that many of the current day communicators would have ever seen anything like it. This particular bug belonged to an old and nold and was used regularly at HMNZS IRIRANGI in the 60’s. Maybe WORS Bevan Lawes can recognise it and advise who the Operator might have been. Or there maybe other communicators who owned similar devices and recognise this key. If you still have your bug send a image of it and I will upload to the blog. and another Key. This time pinched, stolen, obtained from the Air Force what did MCU stand for?…. Operator will rename nameless.. This Key is owned by Paddy Long and was used extensively at Irirangi – 69 thru about 75 …. 69 was my first of three postings to ZLO :-} … the key also served on Taranaki, Paea and Canterbury ! Thanks Paddy. There where quite a few bug keys used in Irirangi while I was there. I know of a few ex sparker’s who still have them. It was quite a skill to get a bug key working correctly but once you could handle it it was a great key to use. I recall “Blue” Godfrey using a bug, on Otago 1964/5. First time I had ever seen one & he gave me a demo of it. I had one to use in later years as a Ham., but wasn’t very good with it at all. Never used one but was quite often on the receiving end of one when working NPM Honolulu (1948/49). It took a while to get used to a dash and anything from 6 to 10 dots representing a 6 (if in figures) or a b (if in letters)! 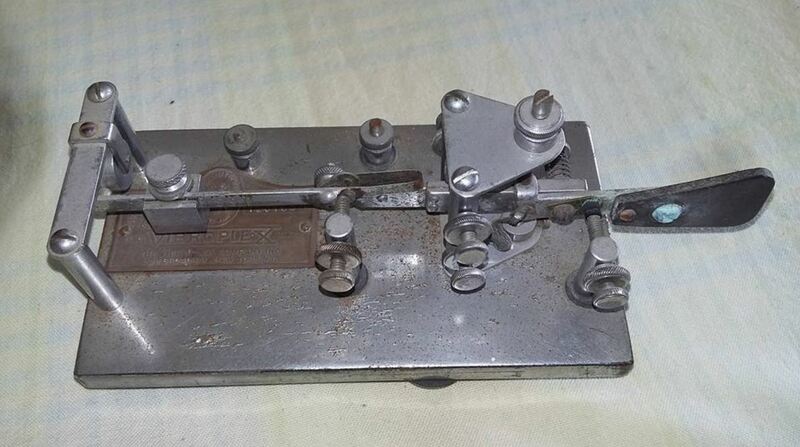 there was only one time I recall a bug key being used at NR2 and the late ” Shorty” Powell got a quantity of key- line current for his effort, not to mention a rebuke from the blokes on watch at the transmitters. A Bill says the operators at NPM could really dish it out, It is fair to say that the King of Bug Key operators would have to be Bill (Wilbur) Luscombe. On Bellona in 1949 he built his own transmitter (“The Wilberforce”) and whenever we were alongside he would send an SBX to us Boy Tels on 3192 k/hz. I used a bug key at Irirangi for several years – bearing in mind that I was there for a total of about 7 years between 1960 – 1976. As far as I am aware the key is in a cabinet at TS Leander where my daughters were both cadets. 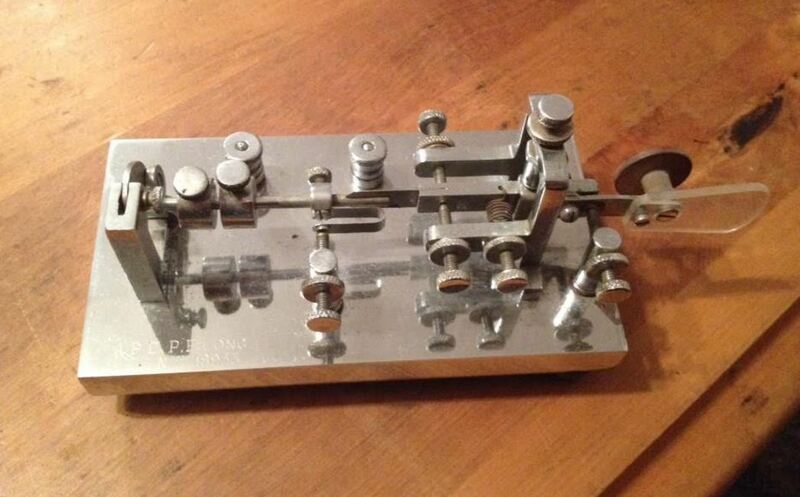 I remember one of the Civvie techs at Receivers making a couple of really good bug keys out of teleprinter parts too ….I think he used a brass base plate but the rest of the bits were rabbited off broken teleprinters :-} ….anyone remember his name, or have one of those ?? I remember you using this key on Canterbrury 1973 when we at Mururoa. I was absolutely fascinated in the way you used it, just likes your guitar playing…..flawless. 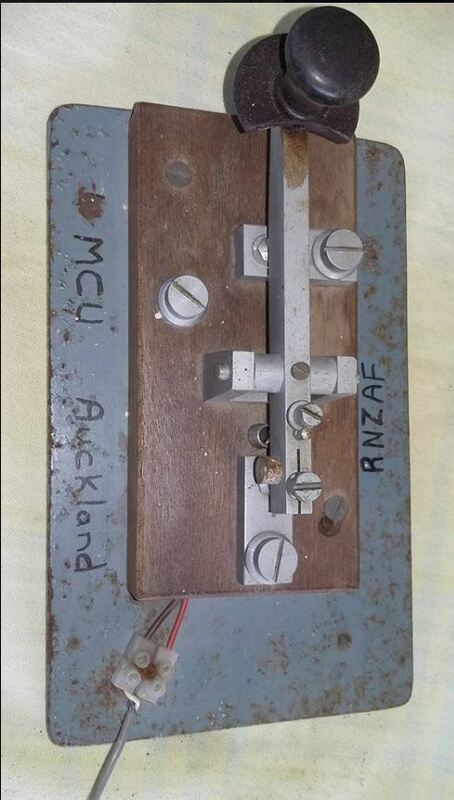 Terry may have been a bunting Jimbeaux but he knew a good drop of morse when he heard it hehe … developed during those endless hours as a QSL cowboy at Irirangi !! !